During my week of doing the egg diet, I got onboard with the smoothie craze. Making smoothies at home makes it so much easier to pack fresh ingredients, nutritional seeds and powders into them. However, I don’t tend to follow a recipe – I just stick whatever is in my cupboard/fridge in them and hope for the best! Sometimes this has worked magically in my favour, and sometimes it has not. I thought it would be fun to document my successes and mishaps with this, hence why I am starting this series. Bananas contain potassium, which helps control blood pressure and high amounts of vitamin C, which helps build the immune system. Peanut butter has protein which is important for bodily functions such as muscle building, and monounsaturated fats, which lower cholesterol. Honey is a great energy booster and sleep promoter. Cacao Powder has 40 times more antioxidants than blueberries, which are largely lost when roasting the beans for chocolate. Almond milk is rich in vitamin E, which is also good for strong immunity, and it is low in calories (although normal milk does have more nutrients). I popped all of these into the blender, and let the magic happen! 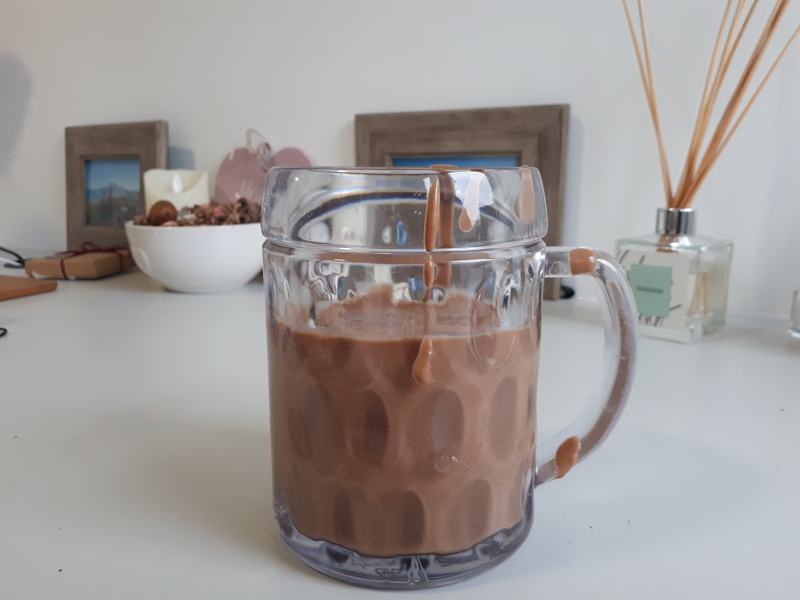 The consistency of it was like a very thick milkshake – I think I should have put in more almond milk! 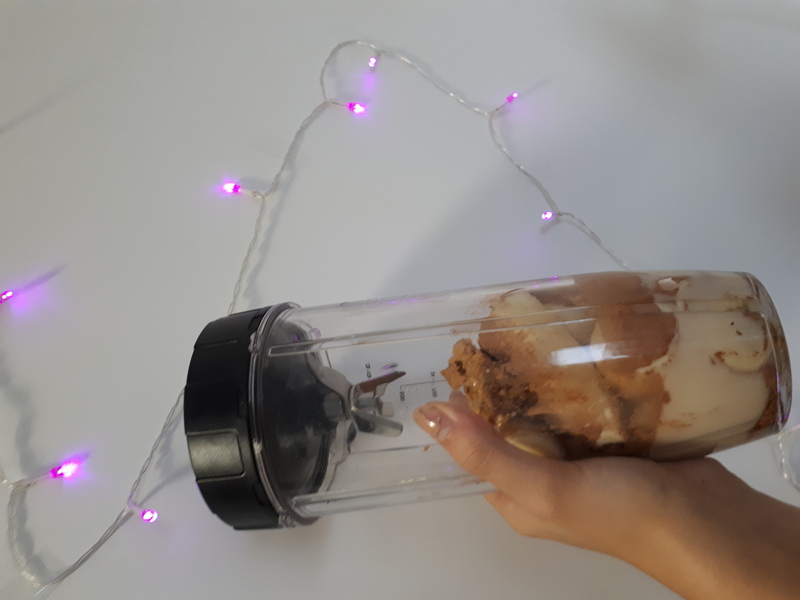 Even so, it still tasted very chocolate and bananarey (that’s a word now okay), and the peanut butter gave it a salty kick that made the sweetness not too overbearing. This is definitely a smoothie you should try at home, especially if you want to pack in extra nutrients. The fact it is so cheap to make as well is an extra bonus! yes that is a big mug. Would you try this out? Would you put something different in it? Let me know!